Many women hoped that Kirsten Tranter’s debut novel The Legacy would make it to the shortlist of the 2011 Miles Franklin Award, but alas the shortlist was a bloke-fest again; even though the selections were top-notch books. A Common Loss has only two similarities to The Legacy – one, the US setting, and two, some clever literary and poetic twists and references. The ‘common loss’ of the title is the death of Dylan – one of five male friends who meet at university and have remained in touch for the ten ensuing years. The group holiday annually in Vegas, indulging in the excesses of that town and reliving stories from their past. This year though – the first without Dylan – problems arise even in the organisation of the trip. Dates are squabbled over; one of the group members, Brian, breaks an unspoken rule and brings his girlfriend Cynthia along; and it appears that Brian and Cameron – never the best of friends in the group – have increased tension that reaches boiling point in Vegas. Elliot, a professor of literature, is the narrator of the story. He is the most naïve member of the group and the one who idealised Dylan the most. We see through his eyes the gradual diminishment of Dylan’s memory as each of the remaining friends is forced to confront a secret from their past involving Dylan, in a most dramatic way. Tranter’s metaphoric use of the facades and glitz of Vegas is beautifully done. As each friend is forced to reveal what lies beneath their everyday self, so the dirty and depraved side of Vegas is revealed. Although this novel takes a little time to gain momentum, the dynamics of male friendship and the fine line between friendships solidifying and shattering are analysed expertly. Annie Condon is convenor of a Readings Australian Book Group. 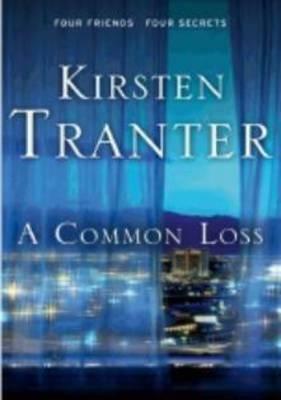 Read a sample of A Common Loss.